Buy a signed copy through Caryn. Also available at University of Nebraska Press. Needle in the Bone: How a Holocaust Survivor and Polish Resistance Fighter Beat the Odds and Found Each Other highlights the astonishing stories of two Poles—a Holocaust survivor, Lou Frydman, and a Polish resistance fighter, Jarek Piekalkewicz, both teenagers during World War II who each defied outrageous odds, lost everything and just about everyone in the war, and yet summoned the courage to create a new life. 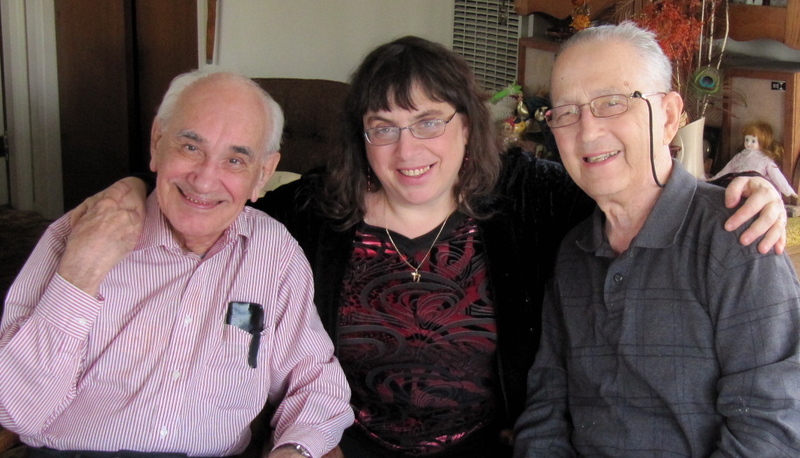 Frydman survived six concentration camps and three death marches. By the end of the war, everyone in his extended family had been killed except for his brother and himself. Piekalkewicz started his own underground army at age sixteen. In addition, one of his uncles was the main leader and another the head treasurer for the Polish Resistance before each was discovered, tortured, and murdered by the Nazis. Frydman and Piekalkiewicz found each other in 1975 in Lawrence, Kansas, where they became best friends, forming a bond made of the trauma and courage embedded in each man’s experience. 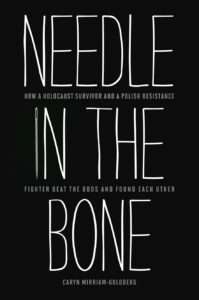 Needle in the Bone offers a fresh approach to the Holocaust and the Polish Resistance by entwining the stories of two survivors. By blending extensive interviews with Frydman and Piekelkewicz, historical research, and the author’s own responses and questions, this book provides a unique perspective on still-com pelling issues, including the meaning of the Holocaust, the nature of good and evil, and how people persevere in the face of unbearable pain and loss. Visit the website for this book to learn about the stories behind this story. Listen to a radio interview on Kansas City's NPR affiliate, KCUR. With a poet’s eye for beauty among the ruins, Caryn Miriam-Goldberg has crafted a contemporary tale of two different men with a history of woe in common. A welcome addition to literature about the Holocaust, and a reminder that good sometimes does survive and prosper. ~ Leonard Zeskind, author of Blood and Politics: The History of the White Nationalist Movement from the Margins to the Mainstream. Needle in the Bone is dedicated to the children and grandchildren of Lou and Jarek, and in memory of Maura Piekalkiewicz and Lou Fryman: may their memories be for blessing. Read Caryn's blog on this pivotal book. “None of you should be here,” says Maura Piekalkiewicz, as she fills her plate with latkes at our annual Hanukkah party. “When I went to the weddings of Lou and Jane Frydman’s children, all I could think was, ‘None of you should be here. It was not Hitler’s plan,’ but here you are,” she says, gesturing to the crowded living room where Lou, Jane, two of their grown sons, and their families are spread over couches and floors, playing dreidel for piles of M&Ms. “That you all survived, it’s a miracle!” she says, rolling her r’s. “None of you should be here” rings in my mind afterward when I think of Lou and Jane, both of whom were children in Europe during the Holocaust. Jane and her parents escaped from Budapest early enough to survive without threading the narrow eye of the concentration camps. 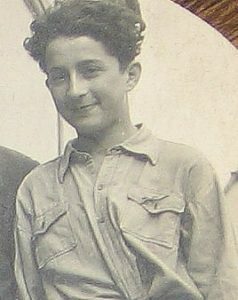 Lou’s family in Poland didn’t, and out of dozens of his relatives, only he and his brother survived.